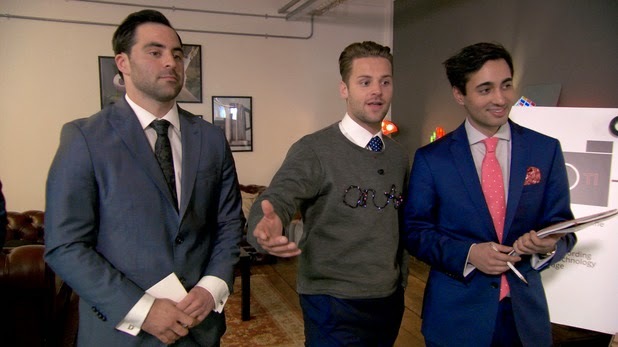 The Custard TV: The Apprentice: Wearable technology makes for great TV. 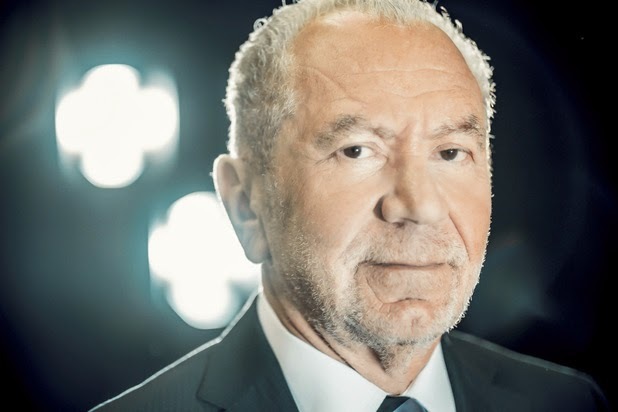 The Apprentice: Wearable technology makes for great TV. So… wearable technology. The smart watch has already been done, and despite Solomon’s wicked smart notion for light-em-up leggings, this week, the boys designed (hahaha) a grim sweatshirt that might be filming you while you’re having a boogie in a dimly lit nightclub, while the girls - freshly renamed team Tenacity - came up with a swanky little black jacket that did just a bit too much. Episode two of series 10 was a feast for the senses, from Robert and his whiff of ginger beard recoiling in horror as Surallan pointed a digit at him and strongly suggested he take charge of task two. 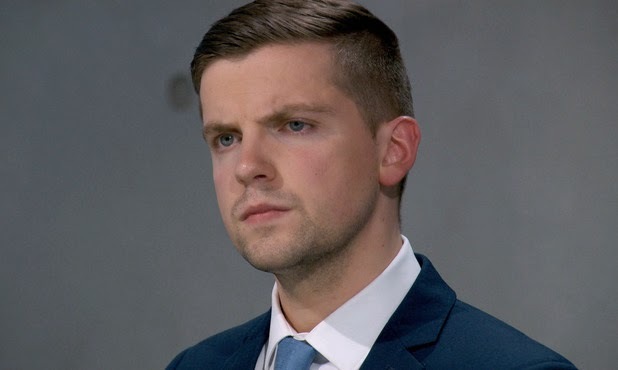 Hilariously, the floppy-haired eejit chose to sidestep the thinly-veiled command, leaving Nick Hewer mightily amused and viewers counting the minutes to the boardroom. In the meantime, wild-eyed Scot Scott took the reins of Summit, assuring everyone he knew what was required as he’d been to a conference on wearable tech a couple of weeks’ previous to the competition. You could almost hear a sigh of relief run round the table, but it was cut short by the discovery that Scott liked nothing more than to hear the sound of his own voice, usually saying helpful things like “No, no, no, no, no, no, no” or “Guys, guys, guys, guys, guys”. You get the picture. Meanwhile, chez les femmes, poor Nurun was shanghaied into taking charge and promptly proved she was the least capable of the women - but at least Sarah kept her mouth shut this time. Despite their best efforts, the girls came up with a reasonable idea: a little black jacket that regulated your temperature, charged your phone and provided a handy landing strip for small airplanes. Daft as it sounds, it wiped the floor with the boys’ grey sweatshirt with ‘on air’ stuck on the front of it in crap-looking cabling, a red led and a small camera. Creepy much? As grimly fascinating as the design process was, things got really interesting when it came to the pitches: would-be clients were a sports clothing chain, a department store and an online retailer. Daniel, the king of selling, if his CV is to be believed, shot himself and his team magnificently in the foot on several occasions, by not only agreeing with the client when they pointed out their sweatshirt’s many flaws, but also by admitting he wouldn’t wear the thing in public. OOOPSIE! No matter how many times he tried to take it back, nothing could stop Aussie Mark from looking like a dingo had eaten his teddy bear, while James took the chance to stick the knife in Daniel and give it a good twist in the boardroom later. Daniel’s foul-up left Nurun looking merely inept as she delivered possibly the least convincing pitch in the history of humankind. Yet, despite everything, the girls scraped an order for 250 of their jackets from one client. The boys? A big fat nada. Unsurprisingly, Surallan wasn’t impressed with Robert and laid into him. But before the fop could get into his stride, he was gone - fired before we ever got the chance to find out why he thinks no socks is a smart move.